Easy access to all campuses! You can choose from 2 types of room. RAs offer advice and support to help residents feel secure and live a comfortable life. 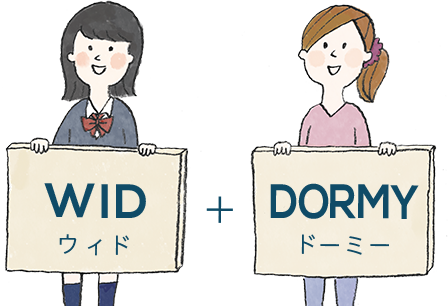 Closest dormitory to Tokorozawa campus. In our dormitory, kind senior students give advice on studying. Our lively dorm manager makes everyday bright and cheerful! RAs and friendly senior residents will support you. Well-lit convenient shopping avenue on the way to the station. Easy access to Takadanobaba Station. This dorm has at-home atmosphere, and our residents are　close regardless of senior or junior. Built in 2008 & Large Public Bath! Becanse of the various held in our dormitory, our　residents interact a great deal. All rooms are large and have kitchens and bathrooms! I offer advice not only on daily life concerns but also on seminars, faculity test registration,etc.